I have a lot of nice things to say about FTD today. They delivered a package from my son who resides in New Mexico (Land of Enchantment!). 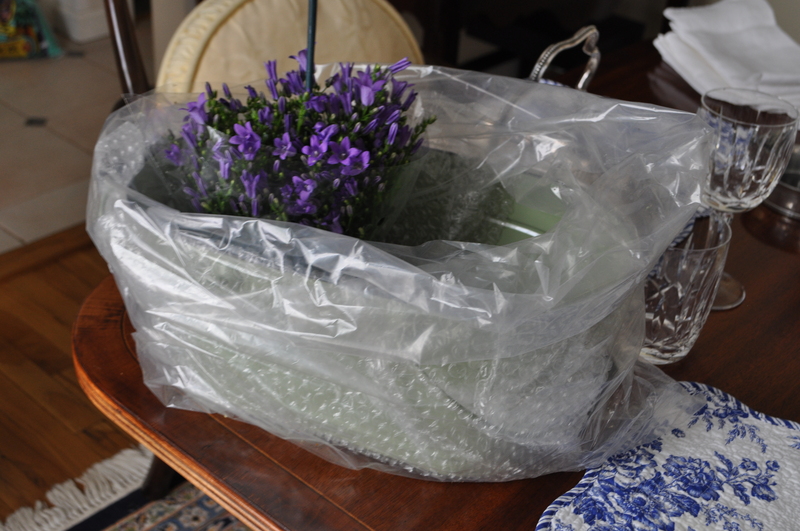 This was a very enchanting gift of fresh, beautiful and well packed plants. 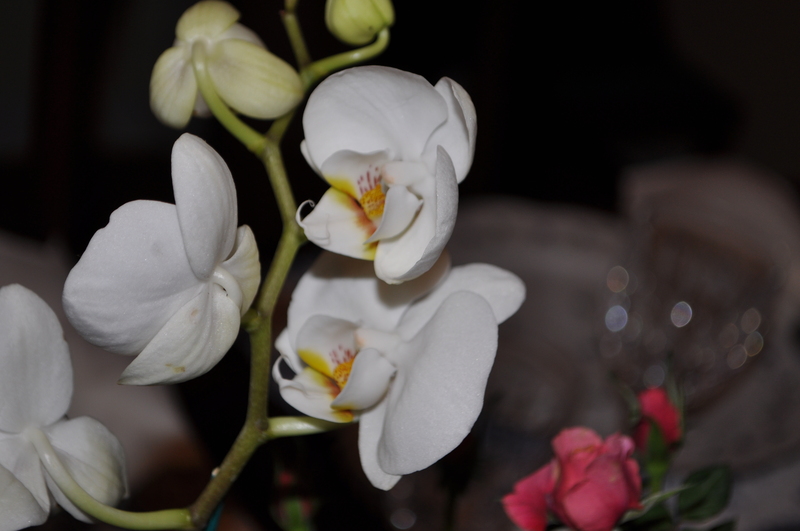 The note suggested that I might like to give orchids another try! 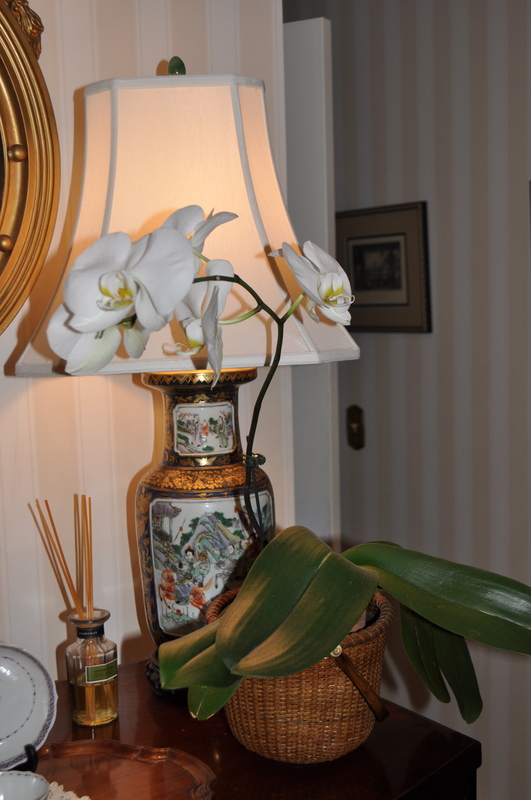 He had read my past post on orchids. How thoughtful and sweet, and YES I will give them another try. The one I posted about in March is still blooming and the blooms seem to have grown even larger. 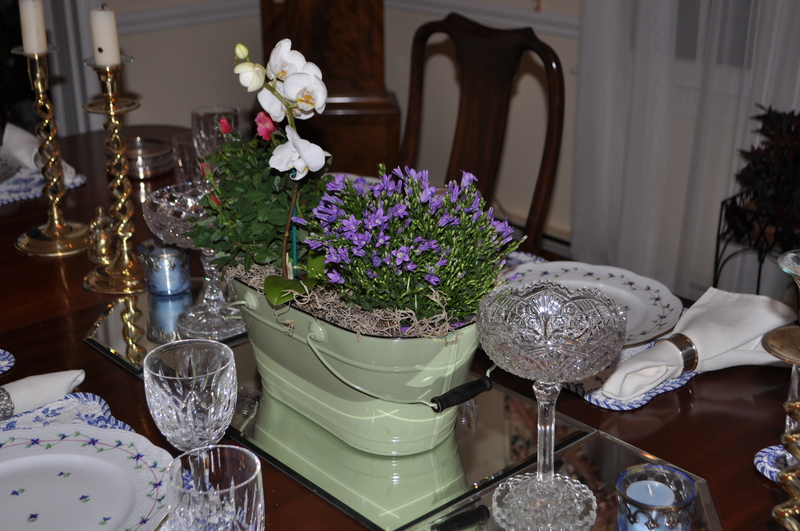 I arranged the plants (the orchid, a rose, campanula and ivy) in the handsome container and it will take center stage on our dining table tonight. Friends are coming to dinner; they’ve all known dear Son from childhood so it will be a bittersweet moment to announce that the flowers have been sent by him from Santa Fe. 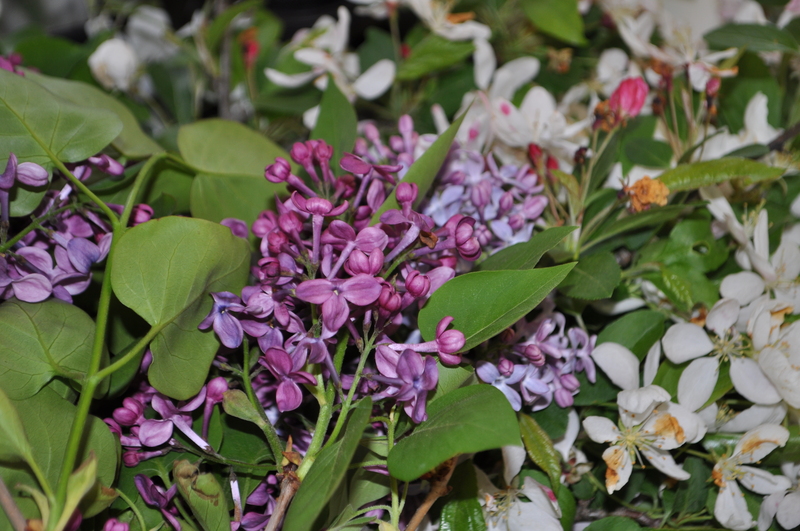 The apple trees are blooming along with the lilac along the drive, so they will be “arranged” for tables in the living spaces tonight. 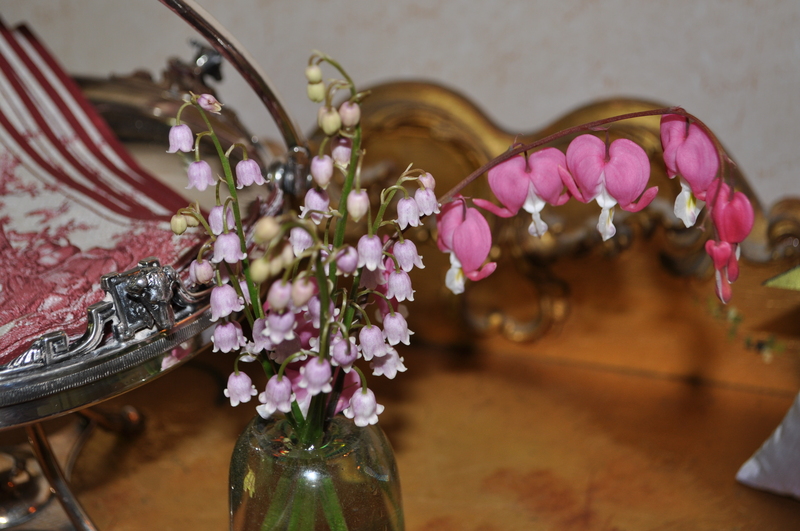 I found the pink lily of the valley blooming too and that will go in the powder room, though no one ever seems to use it! 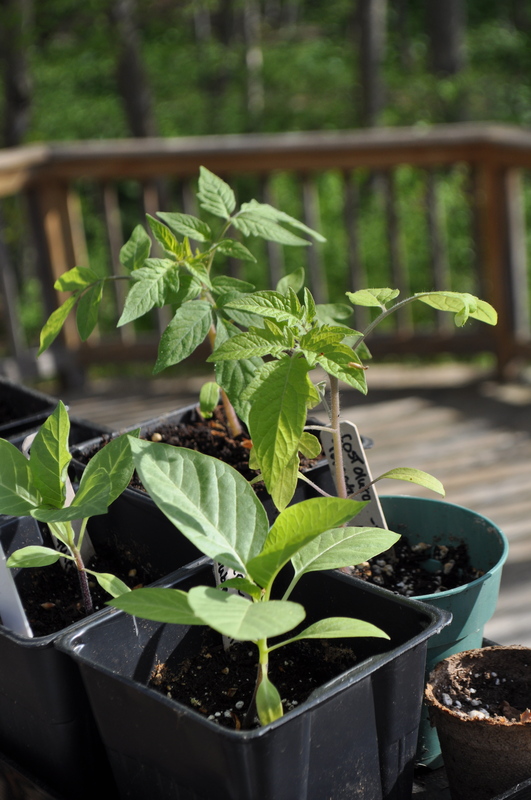 One last note about the seedlings; I believe they are on their way now after a few sunny warm days. Always reminding us to be PATIENT! Speaking as a Mother, I can say that plants are like children. They start out very small and there may be a few ups and downs along the way, but if you treat them right, the end results are enough to make your heart soar! What lovely gifts from your son!